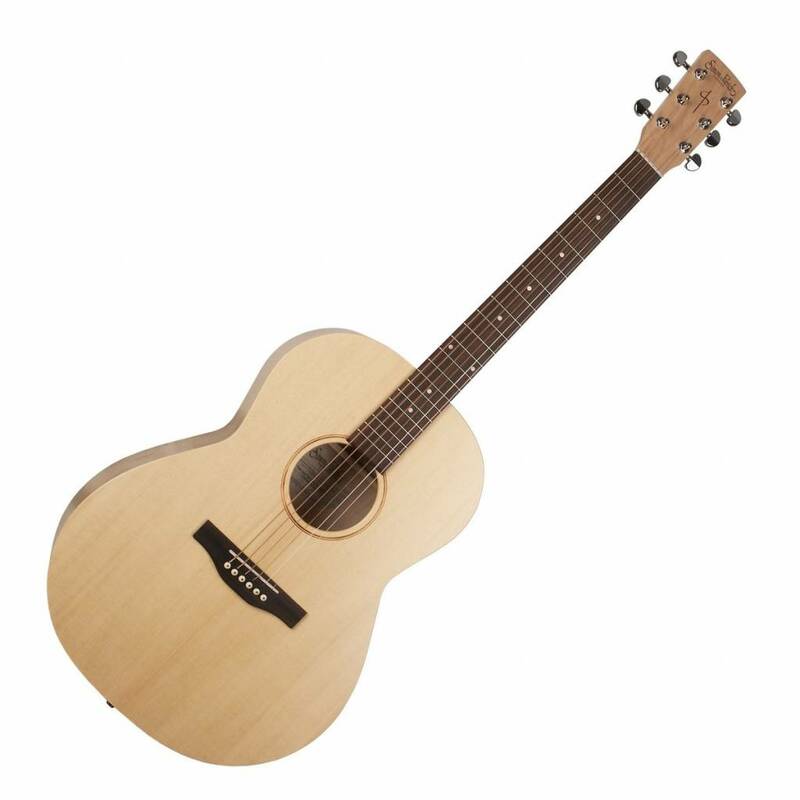 The S&P Trek Spruce Folk Acoustic Guitar features a solid spruce top which not only offers a pleasing aesthetic, but produces a broad dynamic range, bright tonal character and great projection. Spruce is a hugely popular wood, recognisable by its pale colour and understated figuring. This stunning spruce top offers a sweet and smooth tone without being overly bright, yet keeping enough warmth so that it prevents the tone becoming thin. Spruce is widely used for guitar tops and is appreciated by many because it produces a versatile tone which can accommodate numerous different genres with ease. The spruce top is contrasted beautifully by the wild cherry laminate back and sides, offering similar tonal properties that fall between the mellow tone of mahogany, and the bright sound of maple. Overall this guitar delivers a rich blend of quality tonewoods that shine through with each chord, note or strum. 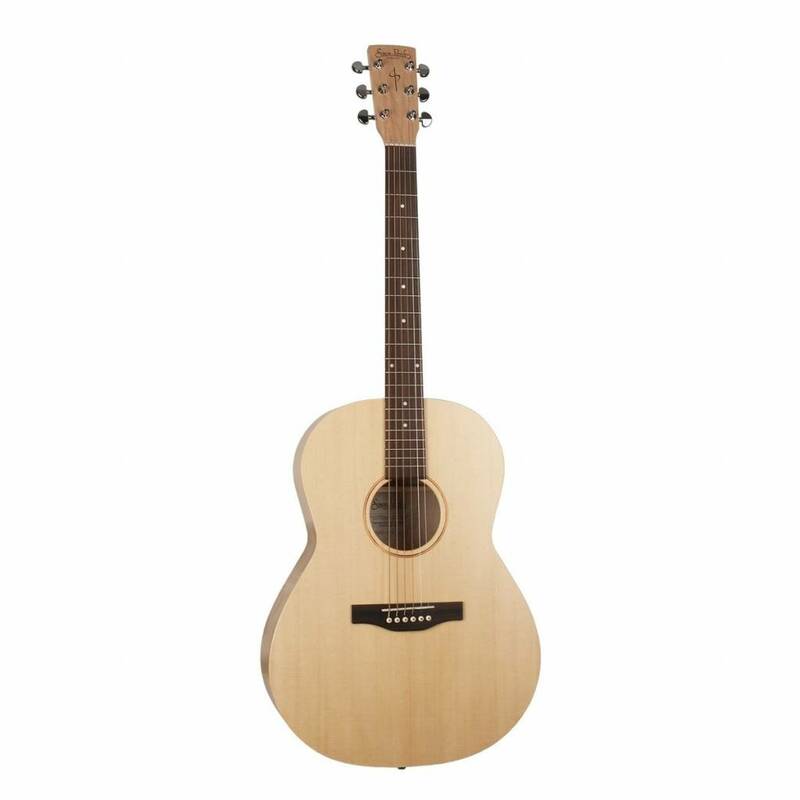 With its elegant Folk size body, the S&P Trek Spruce Folk offers extreme comfort, and is perfect for finger-picking due to its slim waist, allowing it to be held closer to the body. A folk body also yields more mid-range presence and punch, providing a powerful tone despite its smaller size. The silver leaf maple neck’s tone falls into the same category as mahogany, offering durability, rich warmth, brilliant mid-range punch and great playability. The silver leaf maple neck is topped with a rosewood fingerboard that delivers a warm, bright tone that shines through when utilising finger picking techniques.